Sure, if the worst were to happen and there was a burglary attempt on your house, your home security system would quickly pay for itself. However, this alone doesn’t represent enough motivation for some people to invest in a home security system in Sydney. But that’s exactly what a home security system is – an investment. There are a few surprising ways that a professional CCTV installation can save you money, even if there isn’t a break-and-enter attempt on your house. Let’s take a look at 3 of the most significant. By installing a state of the art security system in your home you’re showing that you’re proactive in the fight against intruders, and your insurance company will be sure to take that into account. By safeguarding your home you can expect lower insurance premiums than you might otherwise have been offered. And this doesn’t just apply to home and contents – by parking your car in an alarmed garage you may also save some dollars on your car insurance too! There comes a time in every parent’s life when your kids are at an age that they should be fine to be left at home alone, but you still feel compelled to hire a child minder or babysitter. But with a smart CCTV system installed in your home, this situation and its subsequent costs can be avoided. A CCTV system that can be accessed by your smart phone gives you the peace of mind you need. It’s also great for people on holidays who might otherwise hire a house sitter to keep their property and pets safe. 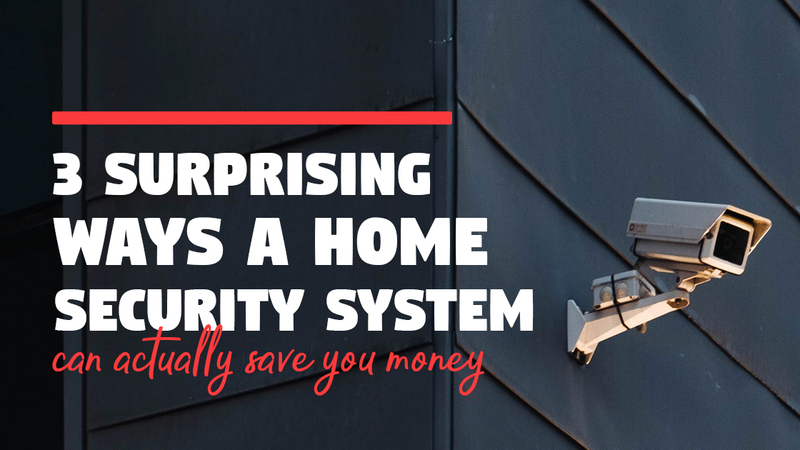 Finally, just as a well-manicured garden or a freshly scrubbed bathroom can see a big jump in your house price, so too can a security system add real value to your home – often more than the system itself is worth! Are you keen to enjoy the value that comes with a home security throughout Blacktown? Red Handed Security offers a range of security camera solutions, whatever your needs and budget may be. Talk to our friendly team on 1300 13 40 33 for more information.